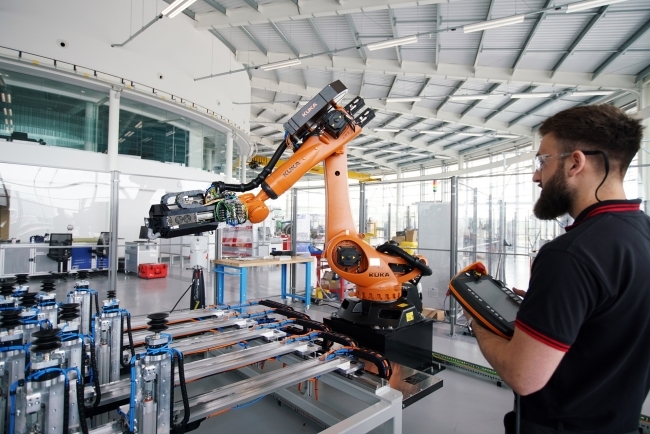 The Manufacturing Technologies Association and the University of Sheffield Advanced Manufacturing Research Centre (AMRC), have partnered to put together a unique feature to demonstrate cost effective adaption of Industry 4.0 Technologies at MACH 2018. MACH 2018 is the place to discover new technologies that shape the world we live in. 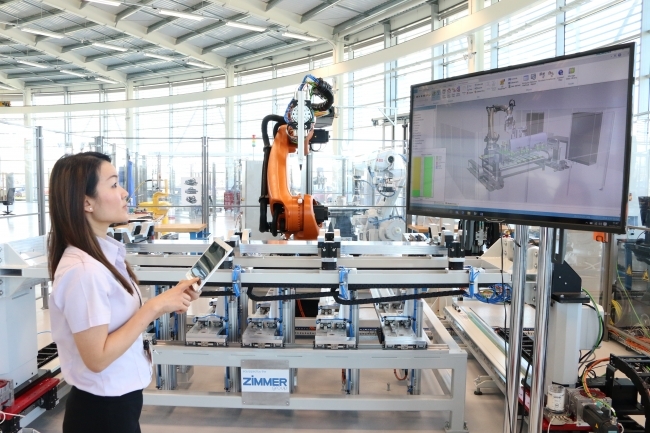 The AMRC’s Factory 2050 is the UK’s first state of the art factory entirely dedicated to conducting collaborative research into digital assembly and flexible component manufacturing. The two are staging a joint showcase of cost effective solutions for the adaption and integration of Industry 4.0 technologies into SME manufacturing businesses. Recent figures from the Made Smarter Review found that the positive impact on UK manufacturing of faster innovation and adoption of Industrial Digitalisation Technologies could be as much as £455bn over the next decade. The idea behind the project stems from the perceived implications in terms of cost and complexity faced by SME’s when wanting to adopt Industry 4.0 technologies – a big barrier identified in Made Smarter. By providing a variety of solutions on how current capital equipment can be adapted to meet the challenges of the Fourth Industrial Revolution the exhibit will demonstrate how Big Data can help companies streamline their production and improve cycle times – without making huge investments. The overriding theme running through MACH 2018 is interconnected technology and the future of manufacturing. MACH showcases live working machinery and staying true to this tradition the combined feature will demonstrate up to six separate manufacturing cells. These cells will replicate familiar manufacturing environments that have been integrated with Industry 4.0 Technologies. The AMRC’s Head of Digital, Dr Rab Scott, concluded: “The MTA’s MACH exhibition gives the AMRC a great opportunity to demonstrate that the adoption of digital technologies can be achieved at low cost and that the impact on businesses can be transformational.